If a child's income is too high, you might not be able to claim him as a dependent. 1. Can I Claim My Parents as Dependents With Unearned Income? 2. 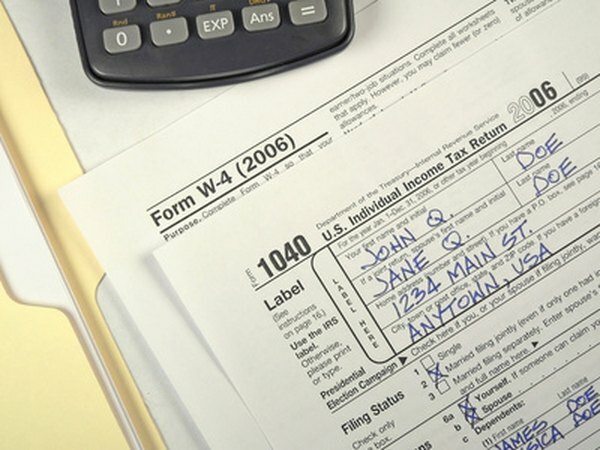 Can Graduate Students Still Be Claimed as Dependents on a Tax Return? The amount a child can make depends on whether you're claiming him as a qualifying child or a qualifying relative. The qualifying child requirements are less stringent than those for claiming a qualifying relative, but you can only claim your kid as a qualifying child until the year he turns 19, or 24 if he is a full-time student. The gross income limit applies only when you're trying to claim your kid as a dependent relative and limits your child's gross income to the value of a personal exemption. This amount changes from year to year with inflation. For example, in 2012, each personal exemption was worth $3,800. Gross income includes all of the child's income that isn't exempt from tax. For example, using the 2012 limit, if your child had a job that paid him $5,000, you couldn't claim him as a qualifying relative, even if he didn't have any resulting income tax liability because of various deductions and credits. To claim your child as a qualifying child, he can't provide more than half of his own support. Support includes the costs of housing, food, utilities, education and other living expenses. The support test only takes into account the amount that the child actually spends on himself, not how much he makes. For example, if the child has $15,000 in income and $20,000 support expenses, but only uses $5,000 of his own money for support, he isn't paying more than half his support. Therefore, you can claim him. The support test for claiming your child as a qualifying relative uses the same definition of support, but it requires that you pay more than half of your child's expenses. Like the qualifying child support test, this test only considers the amount the child actually pays, regardless of his income. For example, if the child pays $3,000 of his own expenses, you pay $5,000 and his grandfather pays $20,000, you can't claim him as a qualifying relative even though he meets the test for being a qualifying child. The IRS has special rules for figuring who is providing support for expenses incurred by students. For example, student loans are considered support paid by the child if he is the only one responsible for the loan. However, if you take out the loan in your name or are a cosigner on the loan, you are considered to have provided that support. Scholarships are not included in the total support calculation. For example, if your daughter has a $25,000 scholarship plus $15,000 in other support expenses, only consider the $15,000 in other support expenses when applying the support tests.